Don’t just point and shoot: are your video campaigns backed up by data? Image by J. Sawkins via Flickr. How can you make your marketing videos delightful while still reaching your business goals? 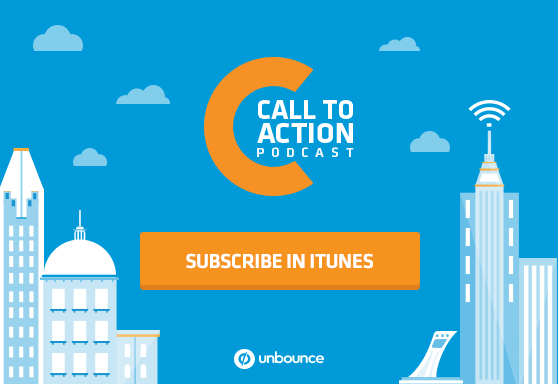 In this episode of the Call to Action podcast, Unbounce’s Dan Levy talks to Jennifer Pepper (Unbounce’s Customer Success Content Strategist) about this tricky task. They dive deep into the importance of a data-driven approach to video marketing campaigns, and share some tried-and-true storytelling methods that’ll give your videos that extra kick. Don’t Bother Using Video on Your Landing Pages Unless You’re Doing These 5 Things by Jennifer Pepper via Unbounce. Click, Baby, Click! by Adobe Marketing Cloud via YouTube. Paper Anniversary Landing Page Example via Unbounce. Drive Real Action With These 6 Killer CTAs by Jennifer Pepper via Vidyard. In this episode: Stephanie Saretsky chats with Felix Cha, Unbounce’s Videographer. Then, Dan Levy, Unbounce’s Content Strategist, interviews Jennifer Pepper, Unbounce’s Customer Success Content Strategist. Stephanie: Hey podcast listeners, just a heads up we will be taking a break from the podcast next Wednesday, July 1st, due to holidays in the US and Canada. You can expect another episode to be posted on Wednesday, July 8th. Now, onto the show! Stephanie: Every video campaign needs to start with a goal. An engaging concept just isn’t enough. For example, when Felix first started at Unbounce on the Customer Success team, one of his first tasks was to make a marketing explainer video for our website. It was a fun video that showcased our office, our awesome customer success team, and Unbounce’s great features. But it never saw the light of day. Here’s why. Felix: The interesting thing was that it tried to target not just our current customers but also target the new customers, new prospects, as well as actually showcase how friendly we are and how good of a customer support team we have. And because that video had way too many messages, it was trying to say three different things. At the same time, it didn’t take into account who we were trying to target, and then also it didn’t take into account our positioning statement. Stephanie: Because Felix was looking at his video through a Customer Success lens – you know, make everything as delightful as possible – he got a bit carried away with the different messaging and lost sight of the marketing goal. So Felix took this lesson to heart and his next videos for product feature launches had more refined messages and a larger impact. Felix is now on our creative team so we’re super excited to be able to work with him on more marketing features. But with a new department comes new responsibilities. Felix: I kind of realized okay, I really gotta start making use of data. As creative people, we kind of tend to not think of data as much; we just think about how it’s gonna look, how is it gonna feel, how is it gonna affect our audience. But I am trying to learn how Unbounce’s marketing actually works and how it’s been doing and where we are going to actually better understand okay, how can videos or anything I make contribute to the campaigns. So that’s like the new challenge. Because I don’t have a marketing background; I’ve been just making videos on my own a lot of the time. And to actually try to learn what marketing is and how we can take data and lessons from those campaigns and bring it back into the creative part of it is – it’s a new challenge but it’s really exciting. Stephanie: I’m Stephanie Saretsky and this is Call to Action, Unbounce’s podcast about doing marketing better. In this episode, we’re tackling a conundrum that it seems a lot of marketers are facing: getting started on producing cool and delightful video marketing that also achieves tangible business goals. Luckily, we knew just who to talk to. Jennifer: I’m Jennifer Pepper and I’m the Content Production Manager for the Customer Education team. Dan: What’s the deal with video marketing? Jennifer: It’s hot, Dan, it’s hot. Dan: I’ll rephrase that for you. Video is, I feel like, one of these things that we all have the sense we should be using more in our marketing because we know the stats about engagement and that YouTube is the second largest search engine after Google. But it’s also kind of expensive and a bit complicated and time consuming. So how do marketers know whether it’s worth investing in video? Jennifer: Well, it’s definitely a different medium to get right for most brands but experimenting with your audience and your content is the key to getting started. So a lot of people think they want to get in on the video game, but it’s only really worth investing in once you’ve figured out the plan for content creation – so what you’ll create and for who – and have an understanding of how you want your videos to contribute to guiding people along the marketing funnel. So ideally, you can start with creating one to two to three videos at the top of your funnel. And then after you’ve distributed those videos strategically the best you can, you follow up by reviewing the engagement data for this first set. So you don’t want to create a ton of video series of 18 videos only to find out that they’re not really resonating. So you’ve got to start small but you also have to have the tools in place to start measuring engagement, which, for marketers, that’s gonna be a video marketing platform. But after a while of creating videos, you kind of want to calculate the overall ROI on the content. And to do this, you’re going to look at whether you’re making more money back than you’re spending on producing the assets in the first place. So take the amount of sales attributed back to video conversions and divide it by the amount of money spent to create the video. Dan: That’s a really good answer. But let’s take a step back maybe, for a moment. Dan: One of the things that you say in the post is that it’s crucial to define what your goal is before even starting the concept for the video. You actually wrote about a video marketing campaign by the company Vidyard that converted at 33 percent. So could yo tell us about that campaign and how they approached it from the ground up? Jennifer: Sure. So at Vidyard we were writing articles all the time to get our message out there, like many startups. But when you write about the same story all the time, you start to wonder: okay, how can I scale this message more effectively and is there a content asset that I can make as sales enablement so that we can use this message all the time on a bigger scale? Dan: Right. Sorry, we should just clarify that you were at Vidyard before Unbounce. Jennifer: Yeah. So we made a strategic video campaign about the two types of people we were always writing about and for. So the video is about what happens to a marketer who posts videos blindly and hopes that they do well versus a marketer who is super smart about where she distributes her video and is just more strategic. So we wrote this “once upon a time” type story about Post-and-Pray Pete and Strategic Sue that would speak directly to our audience of B2B marketers who weren’t really sure what to do with their videos. And even though videos don’t always have a strategic purpose these days, we’re a startup and we needed the content we created to help us with lead generation month over month. So we decided the video had to have a bigger purpose for lead viewers to complete more of a meaningful action so that they had to enter our funnel somehow. So at the end of the video, the narrator tells you that the main character in the story is a real marketer, not just a cartoon, and this call to action prompts the download of a case study about this exact marketer – one of our customers. In other words, the video leads viewers to reach the end of the content to engage with even more content that speaks to the middle of the funnel. Does that make sense? Dan: Yes. So in this case, the campaign itself was instructional in the sense of distinguishing between the type of marketer who starts the video campaign with a strategy in place versus the one who just sort of thinks if we build it, they will come. But it was also itself a campaign that had a “lead you in” component to it. Jennifer: Absolutely. So we ended up finding that those who converted were pretty high quality because the video served as a way to qualify their interest. So if we get you to watch a two-minute video and then you download a case study, you’ve gone through two actions and it’s likely that you’re more interested or you’re worth a call or you’re trying to figure out what our business actually does, you know? Dan: So the goal of the campaign was what, to generate a certain amount of leads or to get people to watch a certain amount of the video? Jennifer: So basically it was a lead gen campaign so we were trying to get more people in the top of the funnel. So the content is very high touch, I guess. It’s not – you can be almost anybody and get something out of the video but it was targeted toward a B2B marketer; somebody with marketing automation in place and a marketing stack that was pretty sophisticated. So we cast a wide net but then it gets I guess more narrow as you go through the video. And then you realize okay, this is a marketer; you’re either interested or you’re not interested in how she was doing all these great things with video, and then you’re going to download the asset to find out what that person in real life actually did. Dan: Very cool. So it cast a wide net in terms of the education and awareness part but there was still like a very strict focus on generating qualified leads through the campaign as well. Dan: Cool. So like any other part of a marketing campaign, even an email or blog post or a landing page, what sets apart a marketing video from a home movie or something is that it needs to contain some sort of call to action. Do you have any tips on crafting a successful video call to action, or CTA? Jennifer: Yeah. So you’re gonna want to keep your CTA aligned with the viewer stage in your funnel. So if it’s a top of funnel video, maybe have the CTA lead to a next step in the discovery phase as a prospect. If it’s a mid-funnel video, consider if it’s persuasive enough to prompt a more meaningful action like a trial or a demo at this point. So back to our campaign, it was very top of funnel but then it led to – so it was very discovery phase but then it led to a case study. So you can really gauge that the leads that you take in from that campaign are more qualified because they’re interested in a case study. So you can sort of set up your next step in the funnel. Does that make sense? Dan: Yeah. No, totally. So maybe can you paint a bit more of a picture of what the CTA was, like what the button said, for example? Jennifer: Sure. Actually, I’m really embarrassed because on the landing page it said “submit,” which we never say to do. It’s a terrible thing to do. Dan: In your defense, you weren’t at Unbounce yet so you didn’t know better. Jennifer: No. Actually, a good example for B2B brands that want an effective CTA, you can look at what Salesforce Marketing Cloud’s content does with their videos. So they’ll create stuff to prompt you on to the next piece of content. So say if they’ve done an ebook, for example. They make a mini video trailer about the content of the ebook to prompt you then to go download it. So the end of the video on YouTube contains an annotated download button, which leads to the ebook landing page where you can get the report. And this is super clever because the ebook’s launch date comes and goes but a video trailer keeps the evergreen content useful to a brand because you can release it over and over and over again on your social channels. But it can live on YouTube because it’s pointing people back to your website. Dan: Right, and the CTA doesn’t necessarily have to be at the end of the video, right? It could be anywhere depending, I guess, on the tool that you’re using for video? Jennifer: Absolutely. So some video marketing platforms have a feature built in where you can have a pop-out CTA, for example. So you don’t always have to think end-of-video CTA because there’s no guarantee that someone’s gonna even get to the end. But you can use something like a pop-out CTA so if you’re going to mention a product, maybe it’s a product demo but they’ve seen half the video and maybe they’re convinced. You can have some slide-out on the side that says, “Hey, like already sold? Check out the demo,” or I don’t know, something but they can click and go explore. Dan: I want to talk a little bit about storytelling. And I know storytelling has become another one of those buzzwords that’s buzzing around marketing circles over the last few years. 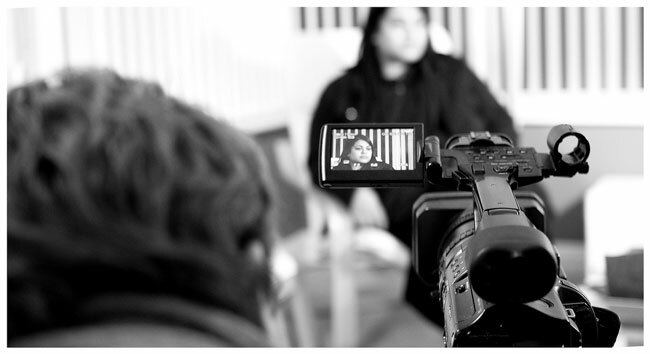 But when it comes to video, story really is crucial. How can you use story to drive people toward that call to action? Jennifer: Yeah. Everyone talks about video stories but the strength of a story is whether it can evoke any emotion. So I’ve found it kind of surprising that it doesn’t even really matter which emotion you pick because they all kind of work. So you can make people feel delighted or you can leave them feeling anxious, but you just want them to feel something as a result of watching your content because this helps prompt the all-important next action. Dan: Even if it’s terrible. Jennifer: Oh, yeah. I have an example of that for later, I guess. But you just want them feeling something at the end. Because the classic brand generic video leaves people feeling like, “Okay, I’m done with this.” And then they drop off. But if you’ve done a video right, it should have people thinking, “Okay, what else can I watch from these guys?” Like they seem to know what’s up or they really resonate with your message. But it’s good to be aware of what you want your audience to do. So if you want people to like your brand, you might want them laughing, like with a comedic story angle. But if you want them to resonate with your brand, you might want to evoke feelings of empathy and be really, really transparent and honest. If you want them to take action, fear or even a light anxiety can be a good motivator. So again, not those positive emotions but you can make them feel kind of like they’re missing out on something. So whether it’s like a new service or a trend, something of value like people hate missing out. So you could also make them feel silly on account of current mistakes. So it doesn’t always have to be a positive emotion. But as long as they’re feeling something in their gut, it’s good. Dan: Right. So before you set out on that campaign, you’re thinking about what the goal is, but also how do you want this piece to make people feel, which is a really interesting secondary questions, I guess. One of the emotional triggers that you mention on your posts is anxiety, which is I guess one of the – you know – maybe more negative ones. Can you explain how Adobe stirred up anxiety in a video of theirs called “Click, Baby Click”? Jennifer: So this is a video Adobe did a while ago and it featured the CEO of an encyclopedia company who happens to get data back about a marketing campaign that seems to suggest that people are buying tons and tons of encyclopedias. So you see him stir the plant into heavy production of more of the books and there are massive shipping containers sent out, and it’s pretty epic. But the end of the video shows a baby with an iPad who’s just mindlessly clicking the brand’s ad over and over again like in a banner ad. Jennifer: So the ad ends with a voiceover that asks, “Do you know what your marketing is doing?” And it’s great because the majority of the target audience of marketers has to wonder, well, do I know? Like how do I know? So it’s a terrific campaign and there’s more of that set of ads that they did that are just so good because they just stir up a sort of anxiety. And when they leave you with that, you’re sort of prompted to take an action. You’re prompted to go see a trial of the software – of their analytics software. So I think it’s really smart. Dan: Yeah, in this case the solution is to put them out of their misery, right? Cool. Let’s talk about metrics for a second. What are some of the ways to measure whether a video marketing campaign is successful? I’m guessing it goes beyond views on YouTube. Jennifer: For sure. So you can post videos to YouTube but I always say that they have to point back to your site where you have a video marketing platform in place tracking visitors’ engagement on your site where it matters. But you want to look for a video marketing platform that allows you to integrate with marketing automation, in most cases, because this is how you can leverage the data to its fullest. So in terms of engagement stats, YouTube alone isn’t really enough for marketers at this time because it can only tell you how many people are watching; not who’s watching, where they’re located, and what other videos they’re browsing through on your site. For this info, marketers kind of have to look at video marketing platforms and how video marketing integrates with other key tools that they have in place. But after releasing your first few videos, you’re gonna look at things like how many people are watching total, the percentage of people who click through to watch a video, what percentage of a video do they watch before they drop off, what other videos they’re watching on your properties. So did one video lead them to another or even to download a resource from you? What was their next step and the amount of content people consumed total on your site? So which video led to another one, and so on and so forth. And you can also A/B test your landing pages to see whether videos are actually helping to persuade more people to convert. Dan: Right. I keep talking about YouTube because that’s often what comes to mind when you hear online video. But like you said, you really want to host your videos on that dedicated landing page. Beyond A/B testing, what are some reasons for doing that, or is A/B testing the answer and I gave it away? Jennifer: You’re definitely going to want to test out whether videos help your landing pages because the entire purpose of the landing page is to persuade, and videos happen to be the best way, I think, to convince someone of anything. So they’re inherently persuasive because they usually contain people and faces and we all really like consuming information in that palatable way. Unruly found that enjoyment of a video asset increases purchase intent by 97 percent and brand association by 139 percent. So that’s huge. And Unbounce found with previous research that it can impact conversion by up to 80 percent just having that video on your landing page. But it all depends on whether that asset is actually good. But one of the best examples of video on a landing page I’ve seen recently is the example on Unbounce’s site: Paper Anniversary by Anna V. It’s so good. There’s this lady, Anna V., who sells paper anniversary jewelry. So she makes jewelry for people’s first wedding anniversaries out of paper. But she has a video at the top of her click-through page so the landing page leads to where you can go see the actual jewelry pieces. But the top of the page contains this video featuring the owner of the company talking about how the first anniversary is so important and why men should consider buying a paper gift, a traditional paper gift – meaning her jewelry – to make it special. But it’s just such a persuasive video and it’s got high production quality, which you don’t always have to have, but that one definitely contributes to a better experience. And yeah, you should check it out; it’s really good. Dan: I will do that. So it’s interesting. I guess videos help reinforce a landing page in terms of engagement, in terms of making the sale, I guess, and persuading them to click the CTA. While on the other hand, the fact that it’s on a landing page helps the video actually convert, right? Because ideally if it’s a properly designed landing page, especially with when they have only that one thing to do, which is click the CTA either in the video or on the page itself, which hopefully I guess are lined up, right? You don’t want two conflicting CTAs between the page and the video? Jennifer: Oh, yeah. The video should definitely – if you’re going to include one, it can’t be the video brand generic thing that has nothing to do with the offer on the page. You really, really want the two of them to be highly aligned. So don’t just put your startups explainer video on the landing page; it’s got to be something like – if you’re offering a trial, it’s got to be a video explaining why or who maybe would want a trial. So explain the specific audience for who you’re after and that way it gives viewers a chance to self-qualify. Dan: So what happens after viewers have clicked that CTA on your video or on the page itself? What’s the next step? Dan: How do you know I like monkey sweaters? Jennifer: Exactly. I saw that you watched a video because I was monitoring on my marketing automation system. Jennifer: Crazy, right? But this follow up is based on a resource that they took interest in, and it can really help you determine someone’s needs and how you can help them. So it just helps extend the conversation past after they have followed through with your CTA. But it can be an email, too. Dan: Yeah, even suggest setting up triggers to send emails like once visitors have watched a certain percentage of a video. So does that include folks who didn’t actually click your CTA? Jennifer: Yeah, so your best bet is to reach out to folks who have watched at least 50 percent or more of a video is what I lean toward. So you can set up those kinds of triggers in your marketing automation software but you don’t have to wait for those who only click the CTA, basically. So imagine the impact of watching a video on a brand site and then even after you’ve dropped off, you get an email in your inbox seconds later about a particular product you were viewing. That’s exactly what the future of marketing is all about; the right message at the right time and the right context. I think it can be pretty impressive for brands to follow up that way. Dan: Yeah, and that’s another example of how the video and the landing page reinforce each other because on a page, people click the CTA when they’re ready to click. But here you’re saying video is a way to engage people who might not be ready to click the CTA or might not have gotten there but have shown a certain amount of intent so you could continue to market them maybe in a little bit of a softer way. Jennifer: Absolutely. That’s where the lead nurturing comes in. Yeah, you can do a great job of that based on the context of what they watched. So if your offer is very specific, you can sort of get an idea for what exactly that customer is interested in. Dan: Very cool. All right, so what’s the easiest way for marketers to get started with video without investing a huge amount of time and money right off the bat? Jennifer: Well, to get started, think about the questions that your brand is in the best place to answer. So think about which topics you’re an industry leader in and how you could do how-to video series or even interview questions about this particular topic. So these kinds of how-to videos help your search rankings for the particular query phrases that you answer. And when people turn to YouTube or Google with questions like “What is cloud software?” your cloud software company can show up as the answer that has the video next to it, which is inherently more interesting to click on as a search result. But you can start with three videos and go from there. So work on getting the distribution just right because that’ll have a huge, huge impact on whether you’re getting the traffic that is actually valuable to you. Work on syndicating the content in articles that you shop out to various sources on the web to get the right traffic going to those videos is a good idea. So if you are talking about – you’re talking to B2B marketers, let’s say, about something very business-specific, you might want to write for Inc.com. Ask the editors, “I want to include this video. Can I embed it with my embed code?” So then your video marketing platform on your site can be tracking the results of who’s watching that somewhere else so you can get an idea of where the traffic is coming from and who that is and stuff like that. But most outlets will let you do that. Dan: Right, and probably they’ll be more willing to let you do that than to embed like a really obvious product-related CTA right in the article. Jennifer: Definitely, definitely. It’s definitely got to be something that their audience is interested in. So if you make, say, a video infographic – so say you have a static infographic. Maybe you want to make that into more of an interactive of one through video. And then a lot of companies will want to capitalize on the research that you did so you can syndicate it with their audience. But work on capturing the right audience and the right channels and getting that engagement metric higher and higher. So try and cap off the drop off. You don’t want people dropping off ten seconds into your videos because then they probably weren’t that good to begin with. So you can adjust and refine based on the metrics that you look at. So if people are dropping off after ten seconds, there’s either something not right about where you put the video and the audience that comes with that spot, or there’s something wrong with your video. So you can rework the content with edits. So you could take out content that your audience is constantly skipping over, for example, and then see how the recut does. Jennifer: You can definitely keep iterating and making sure that you’re catering to your audience with video, which I don’t think a lot of people do. They think, “Okay, I made one, it’s not that great, that’s it.” But there’s also nothing wrong about using your webcam or your iPhone to film, either. You just need to consider your audience’s time and you have to get the edit right. So I find like some people think they need a talking head for 30 seconds, you know? But even that, you’ve got to break up with B roll and keep it interesting. You just want to make sure that your content delivers the most value possible. Dan: I think that’s what it’s all about, right? Delivering as much value possible. Dan: Yup. All right, well, I’m gonna go get myself a monkey sweater so I’ll let you go. Dan: Thanks so much for taking the time to chat, Jen. Stephanie: That was Jennifer Pepper. Her title has changed since the time of recording, and she is now Unbounce’s Customer Success Content Strategist. You can find her blog post and this episode’s show notes at Unbounce.com/podcast. So we’re six months into the production of Call to Action and we’d really love to hear what you think. Do you like the format? What do you think about our guests? And what do you want to hear more of? So if you have a sec, please drop us an email at podcast@unbounce.com. That’s your call to action. Thanks for listening!